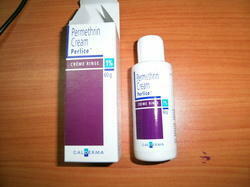 Leading Wholesale Distributor of permethrin cream from Chennai. Permethrin is an antiparasitic medication. It works by killing the tiny insects (mites) and their eggs, which cause scabies. It also kills head lice which attach to your scalp and irritate it. Looking for Hair Growth Medicine ?